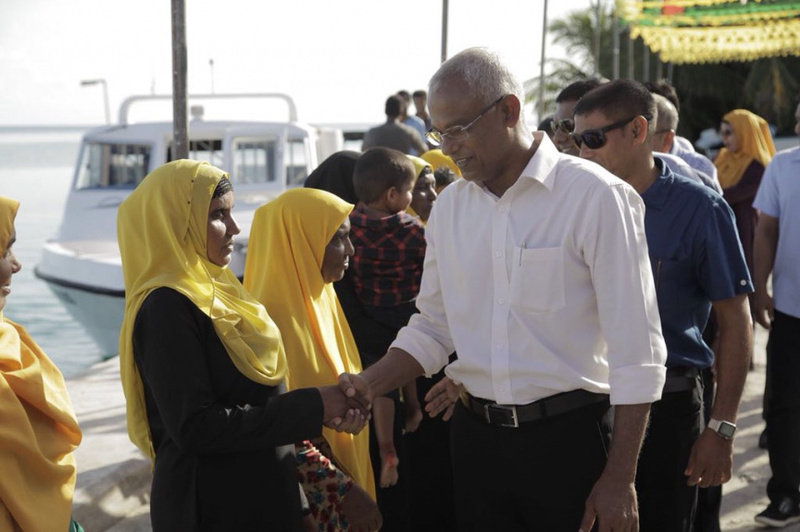 Opposition’s presidential candidate for the upcoming Presidential Elections 2018, MP Ibrahim Mohamed Solih (Ibu) has departed to Th. Atoll, while his running mate MP Faisal Naseem has departed to V. Atoll to campaign for the elections. Ibu and Faisal left on the campaign trips this Sunday morning. Ibu is scheduled to make his first stop at Th. Thimarafushi, where he is scheduled to meet the people of Thimarafushi and hold a gathering on the island. Maldivian Democratic Party (MDP) reports Ibu is also scheduled to visit Th. Gaadhiffushi, Th. Guraidhoo, Th. Madifushi, Th. Vilufushi and Th. Hirilandhoo, after which he will travel to L. Atoll. Ibu has already toured Addu City, Fuvahmulah City and B. Atoll to campaign for the elections. His running mate, Faisal left for a tour of V. Atoll this Sunday morning. Ibu and Faisal will be inaugurating campaign centers in islands, meeting locals and going door-to-door during their tours.